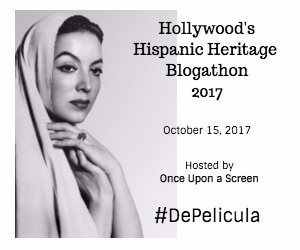 Hispanic Heritage Month is being celebrated by Aurora at her site Once Upon a Screen with Hollywood's Hispanic Heritage Blogathon on October 15th. 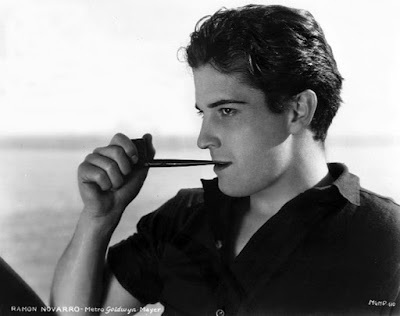 Born in Durango, Mexico as Jose Ramon Gil Samaniego, the actor we came to know as Ramon Novarro moved to Los Angeles with his parents in 1913, escaping revolution. We can truthfully call his career that of an overnight sensation, if we count five years as overnight. He began doing extra work in film in 1917, and in 1922 director Rex Ingram cast him in the flashy part of Rupert of Hentzau in The Prisoner of Zenda. A star was born! Charismatic and good looking, Novarro soon became another of Hollywood's popular Latin Lovers. "Nobody would do but Ramon Novarro." The name Ramon Novarro still meant movie romance forty years later. The 1961 Car 54, Where Are You? episode Love Comes to Muldoon featured Alice Ghostley as the unmarried and pining Bonnie Calsheim. She was never able to find love because of Ramon Novarro. "I never met Ramon Novarro, but that man ruined my life. I fell in love with Ramon Novarro the first time I ever saw him on the screen. I lived only for the hours we were together; he on the silver screen and me in the balcony. How I suffered! Here's the worst part. Nobody would do but Ramon Novarro." Romantic idols can retain that cinematic glow long after they have left us thanks to the longevity of film. Off the screen, the young actor grows into an older actor and hopefully that performer will have the opportunity to show their mettle as a character actor. 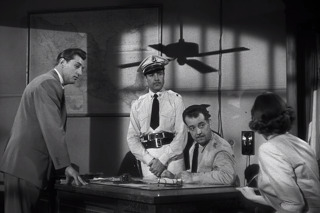 I enjoy 50-year-old Ramon Novarro's turn as a police inspector in 1949s The Big Steal. Don Siegel's movie opens with a map of Mexico on screen and a theme by Leigh Harline with a peppy mariarchi feel. You might almost expect "the voice of the globe" James A. FitzPatrick to begin a plummy narration. Based on a Saturday Evening Post short story by Richard Wormser called The Road to Carmichaels, the script by Daniel Mainwaring and Gerald Drayson Adams is fast-paced, cheeky fun. That map may have come in handy as along with location shooting at the Corrigan Ranch, cast and crew went to Mexico City, Veracruz and Tehuacan. A fellow named Jim Fiske (Patric Knowles) has stolen $302,000.00. 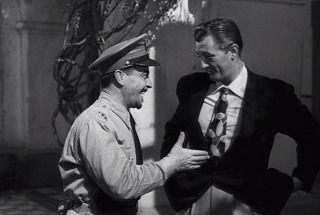 $300,000 was liberated from an Army payroll and a Lt. Duke Halliday (Robert Mitchum). Lt. Halliday is angry and chasing Fiske. After all, a fellow does like to have his name cleared. The stolen $2,000 is from a young woman who was expecting to be married to Mr. Fiske. 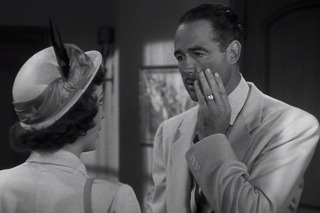 If Lt. Halliday thinks he is angry, just wait until he meets Joan Graham (Jane Greer). The whole kit and caboodle are being followed by the apoplectic Captain Vincent Blake (William Bendix), and they are following one another through Mexico to what end, no one can be sure. None of these visitors to Mexico are the calm, easy-going type. If they don't bring trouble, trouble finds them. They may think their excuses are acceptable to Inspector General Ortega (Ramon Novarro) in Veracruz, but then again, they may be underestimating the official. The Inspector is friendly, but wily. 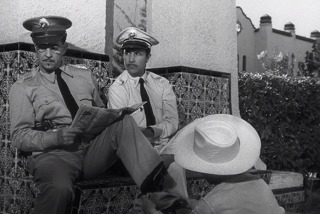 He may only be learning English from his second-in-command, Lt. Ruiz (Don Alvarado), but knows not to tip his hand. As Holmes would say, the game is afoot. Inspector Ortega is a man of patience and intuition, explaining to Lt. Ruiz that he is a cat playing with mice. Inspector Ortega: "I'll tell you a little story, in English. Once upon a time there was a cat who had a little mouse right in his paws, but he let the little mouse go so that later he could find that mouse into a group of other little mouses - mice." Lt. Ruiz: "You're a clever cat, Inspector." Inspector Ortega: "So is the mouse." Duke and Joan become partners in search of Fiske who leads them a merry chase along scenic byways and detours. Along the way, the pithy byplay between our leading man and leading lady, and their encounters with locals, reveals histories and creates a bond. Not far behind, but hampered by his lack of Spanish, is Captain Blake. Blake is a trigger-happy fellow you hope does not win at this game of catch up. One step ahead of these strangers is Inspector Ortega. Slyly he greets all parties at a resort to observe and stir the pot. However, Fiske is desperate to get to someone and whither Fiske goes, there goeth Duke and Joan. Of course, where Duke and Joan go, can Blake be far behind? Inspector Ortega is a patient man. He can wait. A mouse called Seton (John Qualen) is waiting at the end of the chase. Inspector Ortega: "You helped get the goods on Seton. Such a clever man. We knew he was a fence, but we could prove nothing. All we could do was wait until someone would lead us to him. Along came Fiske. Along came you. Along came Blake. Now we have nothing to worry for Seton." Duke Halliday: "Or Blake, or Fiske." The Big Steal is a breezy 71 minutes filled with quips, chases, gunfights, fisticuffs, and the architecture and people of mid-century Mexico. You'll enjoy Ramon Novarro as Inspector Ortega and wish you would find him there still should you ever take the trip. Wonderfully written post, as always! :) I've been wanting to see one of Novarro's films, and to see him and get Greer and Mitchum too? Nice! It would appear that The Big Steal was tailor-made just for you, and I'm chuffed to think I could bring you together. If you had nothing about this film except it's a "breezy 71 minutes" (I love that phrase you used) with Roman Novarro, I would have been sold instantly! Sorry, I meant to say: "If you had written nothing about this film..."
As long as you are sold, that's all that matters. Novarro never lost his ability to charm, and this movie gives him a fine showcase. I relived this enjoyable movie with your entry. I forget often that Novarro made movies beyond early talkies. Now I have to go search and rewatch this. Wish I had it. A terrific recounting and enjoyable read, as always. Adding even more enjoyment is the Alice Ghostley mention. I can picture her face when she spoke that quote about her unending love for Ramon. Too funny! Aurora, it was entirely my pleasure to join in the blogathon with this piece. I'm so glad you enjoyed it. Congratulations on another year of fine tributes. Ah, Ramon! I got intimate with Ramon's silent work and early talkies, but not his later work. How fun to spend time with Mitchum and Greer and then have Ramon (and Dona Alvarado) thrown in as a bonus. As always, you throw something new and intriguing at me and make this a must see! I could not be more pleased. I get a great kick out of this movie, and the chance to see these actors and that location is the topper on the movie dessert. I saw this on TCM on Saturday and your description of it as "fast-paced, cheeky fun" is spot on. 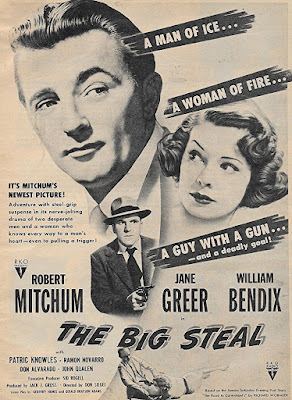 It'd make a terrific double-feature with OUT OF THE PAST, since Mitchum and Greer play very different roles in this film. 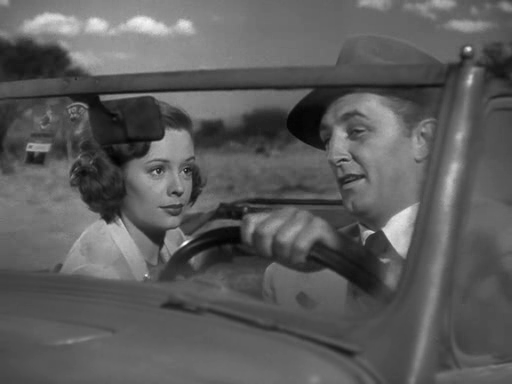 If folks get too immersed in Out of the Past, they'd have no idea that the Greer/Mitchum combo could be such fun. The Big Steal is a sure cure for angst overload. Nice one...what a wonderful updates. .. When I put my eyes on Novarro in the 1925 version of Ben-Hur, my breath was took away. Wow. What a man - Bonnie Calshiem was right. I haven't watched The Big Steal, but it looks great. 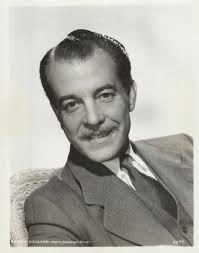 Even Novarro aged well! I think you'll enjoy The Big Steal. After all, what's not to love about a movie with Mitchum, Greer, and "nobody would do but Ramon Novarro"?